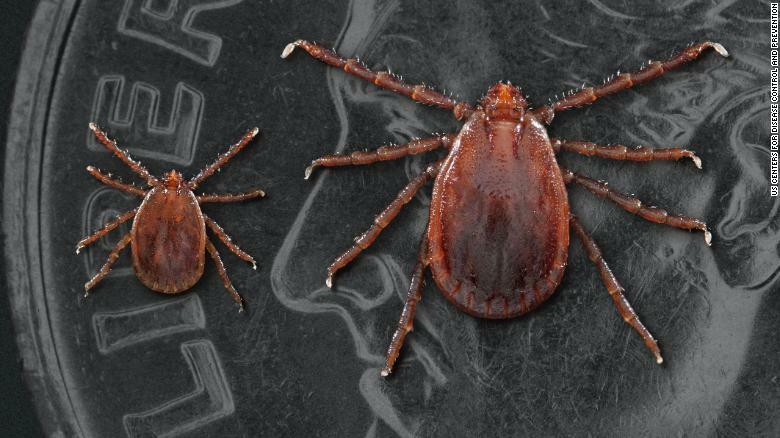 Asian Tick Invading Eastern U.S. The Asian longhorned tick most likely began invading the United States years ago. 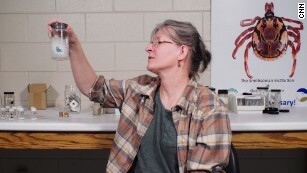 Now found in nine states, the tick may soon occupy a large swath of eastern North America as well as coastal regions of the Pacific Northwest, according to research published Thursday in the Journal of Medical Entomology.”This tick can bite humans, pets, farm animals and wildlife,” said Ilia Rochlin, author of the study and an entomologist and researcher associated with the Rutgers University Center for Vector Biology. A museum of blood-sucking nightmares: the US National Tick CollectionOne of the diseases Asian longhorned ticks can transmit is severe fever with thrombocytopenia syndrome, a hemorrhagic illness that has recently emerged in China, South Korea and Japan, according to the previous CDC report.This syndrome, which also causes nausea, diarrhea and muscle pain, results in hospitalization for most patients and leads to death for up to nearly a third of those infected. 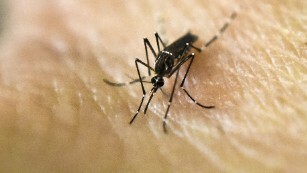 This possibility is a concern because a close relative of the illness, the Heartland virus, circulates in Midwestern and Southern states, Rochlin noted. 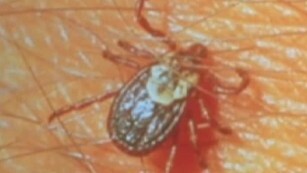 Two Asian longhorned ticks: a nymph or immature tick at left and an adult female.The tick can also carry other pathogens, including viruses that cause Lyme disease,ehrlichiosis and anaplasmosis, Rochlin said. Each of these illnesses can lead to severe disability.In Australia and New Zealand, the Asian longhorned tick has transmitted theileriosis to cattle. Also called “bovine anemia,” the illness causes lethargy, lack of appetite and, in pregnant cows, spontaneous abortion or stillbirth. “In some regions of New Zealand and Australia, this tick can reduce production in dairy cattle by 25%,” the CDC report says. 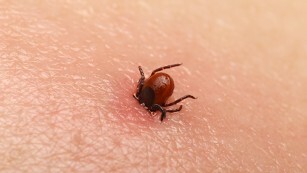 Because the tick has been found in widely separate regions of the United States, Rochlin believes that it “has been present in the United States for a number of years” and is likely to gain additional ground. For his new study, he modeled likely habitats in North America.He looked at climate data from Asia, Australia and New Zealand where the tick is established and then compared that with climate reports for North America.The most suitable habitat for the tick included coastal areas as far north as New Brunswick and Nova Scotia to as far south as Virginia and North Carolina, Rochlin found. On the West Coast, the coastal area where the tick is likely to survive ranged from southern British Columbia to Northern California.